With the days getting longer it can seem as though spring is just around the corner. For the gardener, February may not be the greatest month but with plenty of polythene and cloches available we can get ahead and warm the soil for early March sowings. 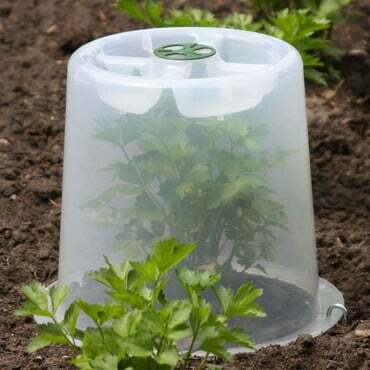 Regularly check under cloches for slugs and open to the air on warmer days to stop moulds and botrytis afflicting young seedlings and start sowing broad beans and peas in succession, protected sowings of rocket, oriental greens for cut-and-come-again, leeks and lettuce. At the beginning of the month I positioned polythene sheeting on top of the soil (secured down with our steel ground pegs) to warm the soil, making a big difference in early spring sowings. Then, just before planting, I hoed off any weed seedlings that germinated and sprinkled a general purpose fertiliser (such as blood, fish and bone) over the area before working it into the surface with a soil rake. Now I have pulled up the rest of all my tasty leeks, I’ve got an empty bed ready to prepare for legumes which have now been rotated round to this specific bed. In order to prepare, I am going to have to measure out where my runner bean frame will be situated, and dig out a trench ready to fill with all paper, kitchen and compostable waste. So far I have had a few new products brought over to the Kitchen Garden to test, for me to then give my feedback on; a decision will then be made whether it is superior enough to go live into our product range. The greenhouse staging has even had a thorough wipe over using our new greenhouse cleaner. 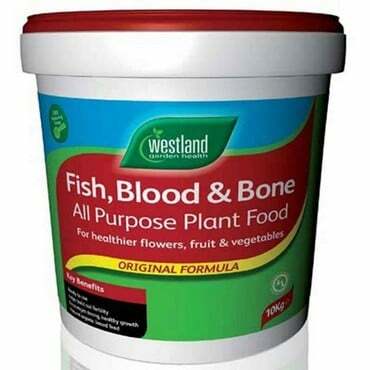 This worked very well to get rid of that dreadful build up of green algae. Squirt, wipe, vanish. I have already sown plenty of seeds at the Kitchen Garden, all which have been brought on by our magical propagators including our Vitopod, Jumbo Heated Propagator and Super 7 Heated Propagator. After they had all germinated I placed them under the Grow Light Kit for that extra speck of light. The seeds I have sown so far are Summer Cabbage – Derby Day; Red Cabbage – Marner; Lettuce – Little Gem Delight- Emilia; Parsley – Flat Leaf; Rocket – Cultivated; Carrots – Early Nantes; Chillies – Both Jalapeno & Cayenne Red; Tomatoes – Both Gardener’s Delight & Cherry Fox; Leek – Tadorna; Sprouts – Wellington; Rhubarb Chard and Parsnip - Gladiator. I have finally removed the old Link-a-Bord bed frame from the Kitchen Garden which consisted of strawberries and has been in place for the past 3 years, all the strawberries have been removed and planted on into troughs, with new nutritious compost. I removed the old compost from the Link-a-Bord beds and spread around the garden, I then levelled off the ground which was underneath the bed with sand to keep it looking neat and presentable. As you can see Courtney has been rather busy and as the garden prepares to burst into life, you can be sure that the local pest population are slowly stretching, stirring and sleepily emerging from the winter hibernation too, with rumbling stomachs and big plans on how to fill them - all involving your plants. That's where our latest version of the Little Book of Pests - now entitled the 'Little Book of Least Wanted Pests' - proves invaluable as each of the 24 pages is packed full of information about the major garden pests along with plenty of ideas of how to prevent and remove the threat to your plants each one poses. What's more, this must-have pest guide is completely free so all you have to do is decide if you want to download a copy (below) or request the book from us! If 2011 is your debut gardening season - or even if you're an old hand who knows their leeks from their legumes - a great way to start is by requesting a copy of our brand new, 116-page 2011 catalogue, jam-packed with new gardening ideas for the kitchen garden, patio and greenhouse - an inspirational addition to any potting shed or coffee table. We've also got the resources to look after you once you start growing; you can pick up loads of handy tips by following us on Twitter and Facebook; we've got a busy gardening blog on the go and we're always here to offer advice and support too! Make sure you join us in arguably the most exciting time in the gardening calendar and let's grow our gardens together!